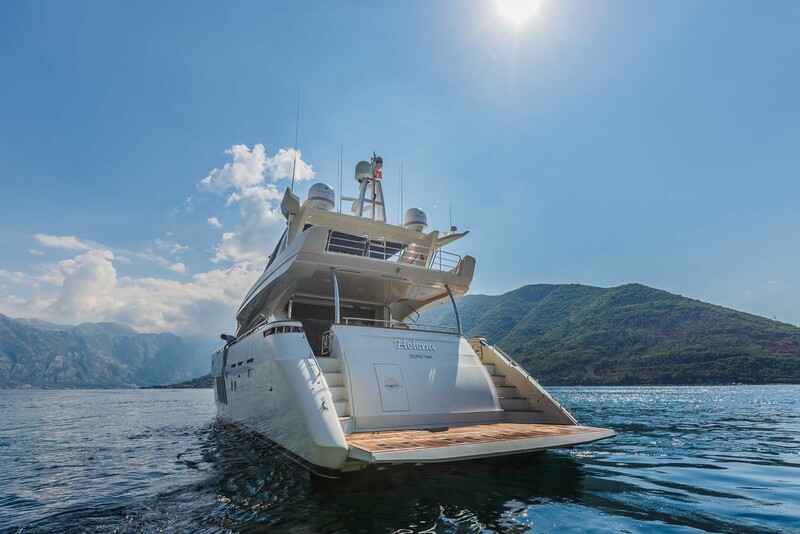 LADY MURA is a beautiful 29,10m (95,6ft) Dominator yacht with launch in 2011. 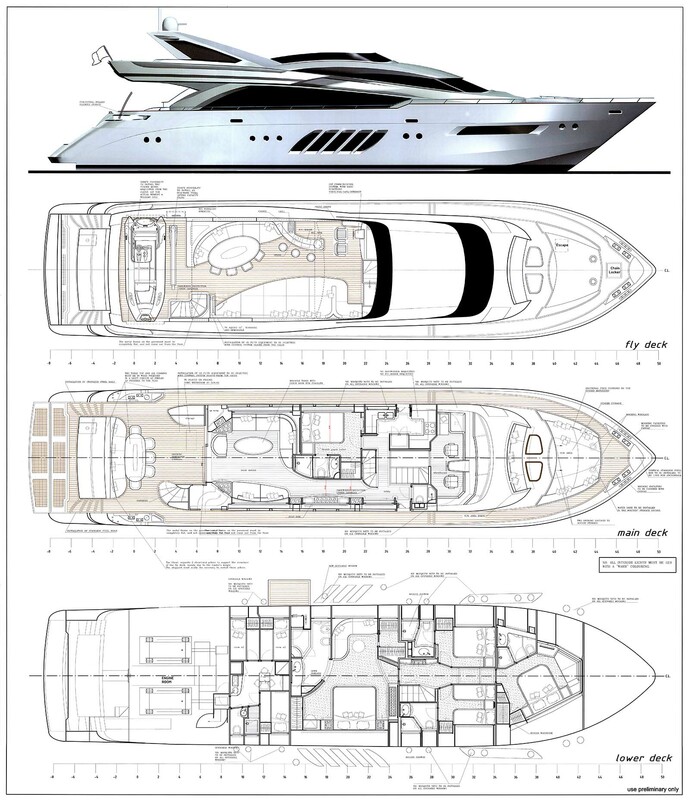 The yacht’s naval architecture is by Dominator Engineering Division, her interior and exterior design is the collaboration of Team 4 Design. 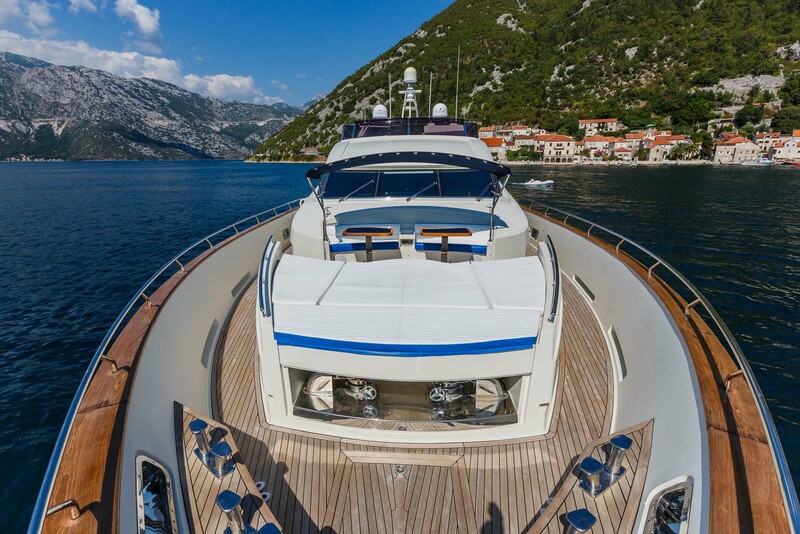 She offers luxury crewed yacht charters, accommodating up to 10 guests in 5 stylish cabins. 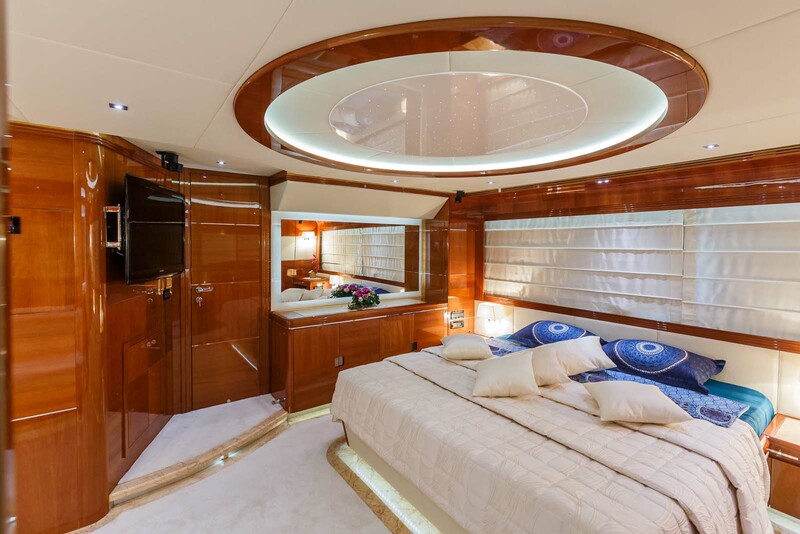 The interior décor is contemporary and warm. 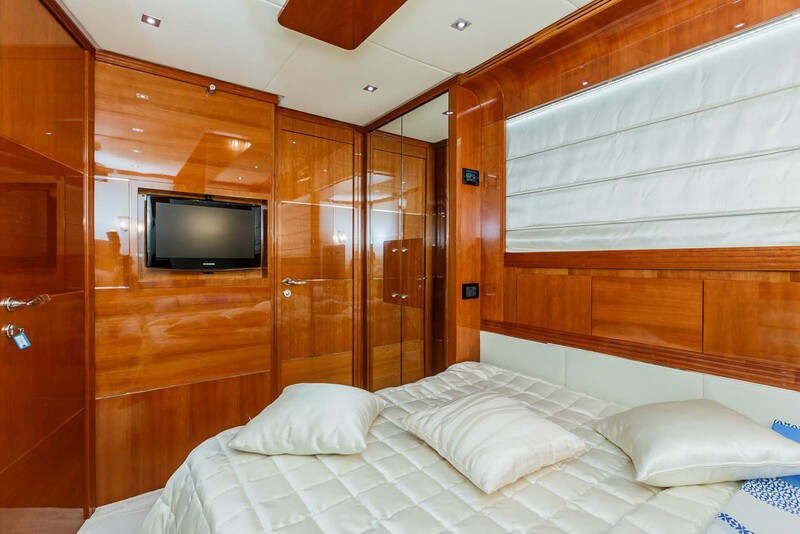 High gloss cherry toned panels, cream head lining and bespoke neutral soft furnishings create a harmonious ambiance. 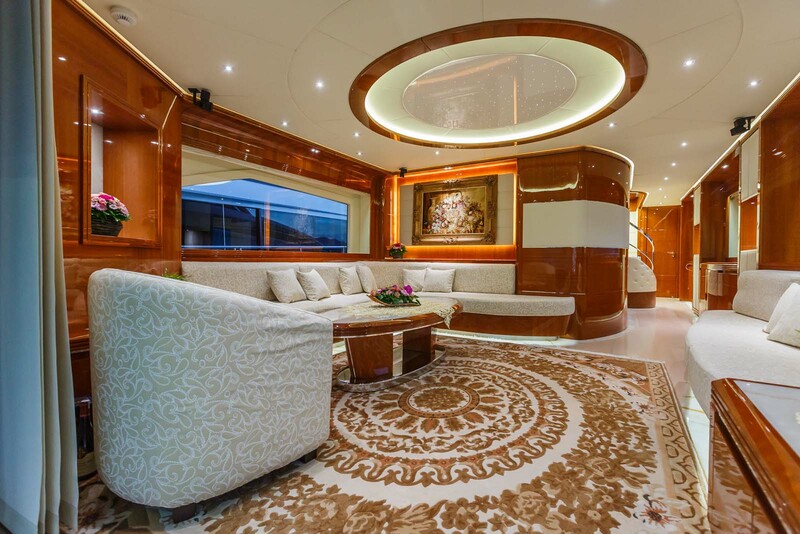 In the salon a large sofa, settee, occasional chair and coffee table complete the space. 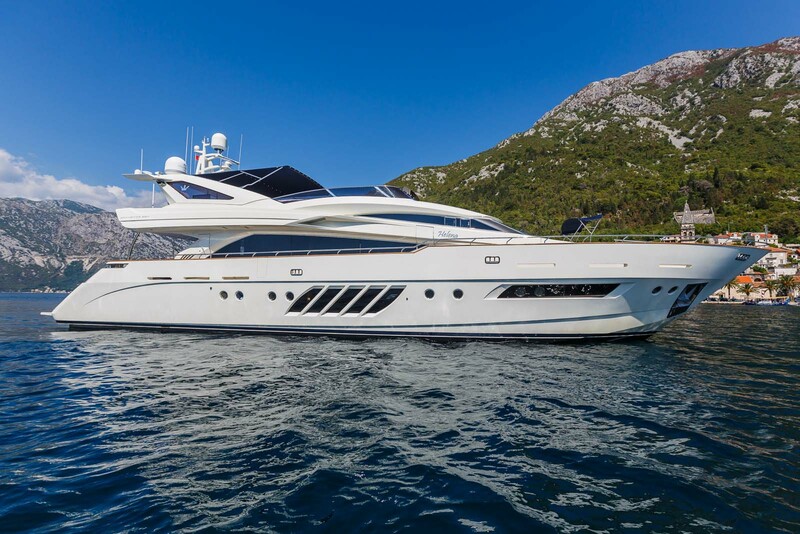 In addition to the fabulous lounge, she boasts full audio and visual systems for optimum entertainment. Elongated side windows provide ample natural light throughout the salon. 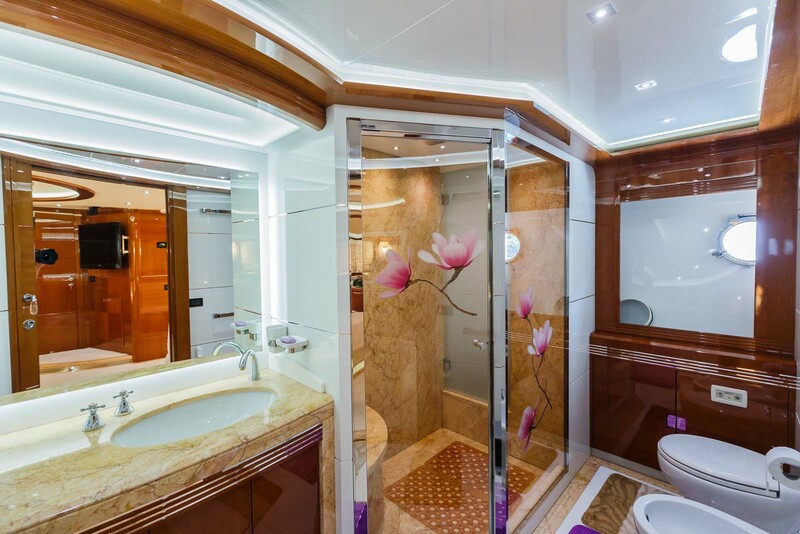 Accommodation is in 1 master cabin, 1 VIP cabin, 2 convertible twin cabins on the lower deck, plus one double cabin on the main deck. 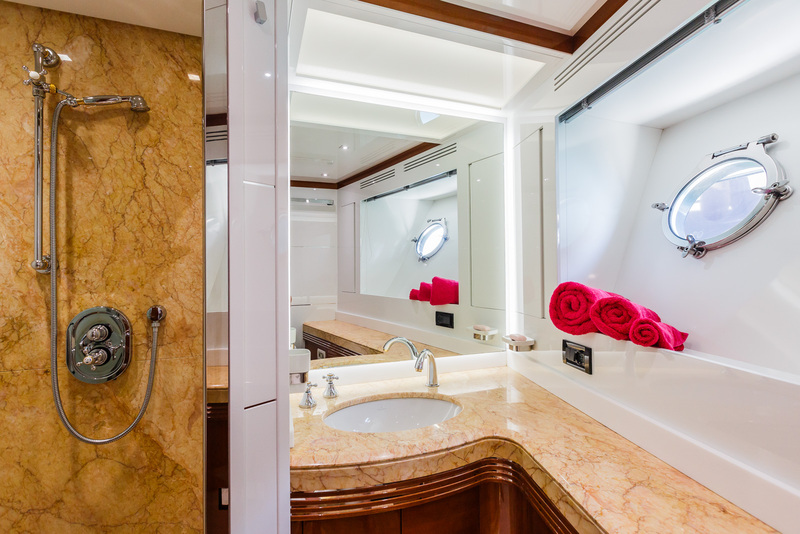 All cabins have private en-suite facilities and are fully air conditioned. Exterior living is well-appointed on 2 levels. 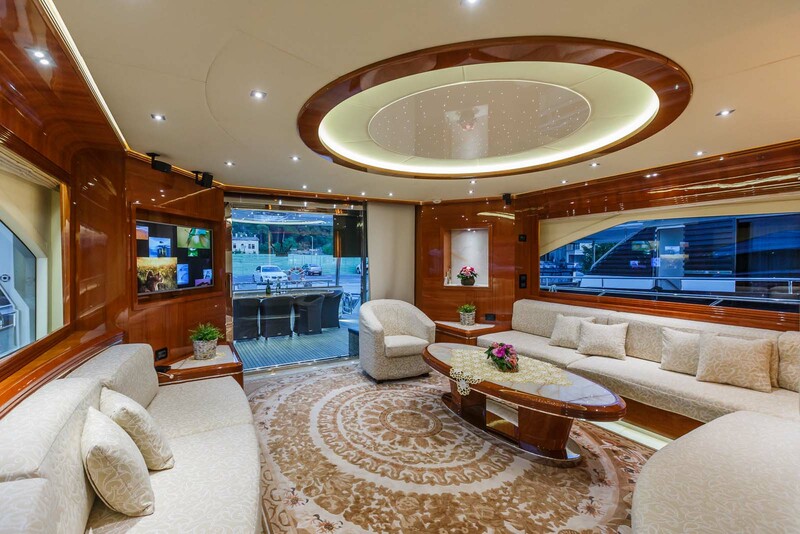 Aft of the salon, an electronic sliding door leads to a shaded alfresco dining area, seating and drop down TV. 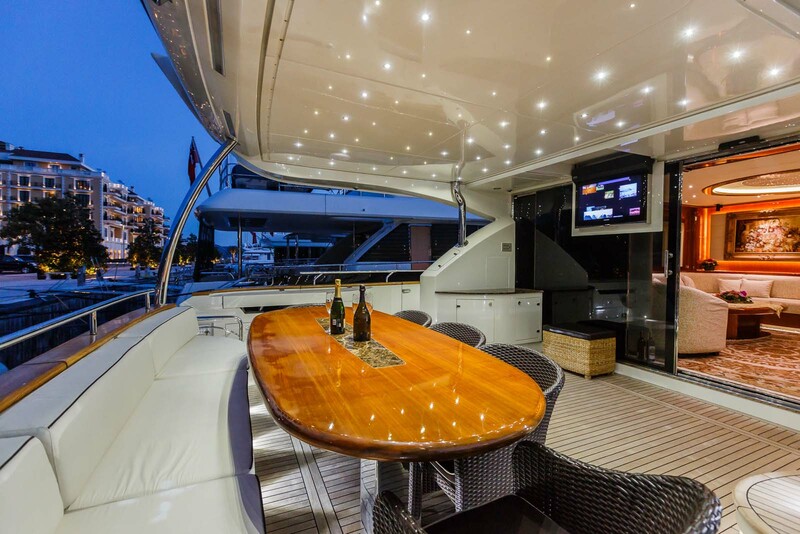 With easy access to the salon, the aft deck is a great social area for both casual and formal entertaining. 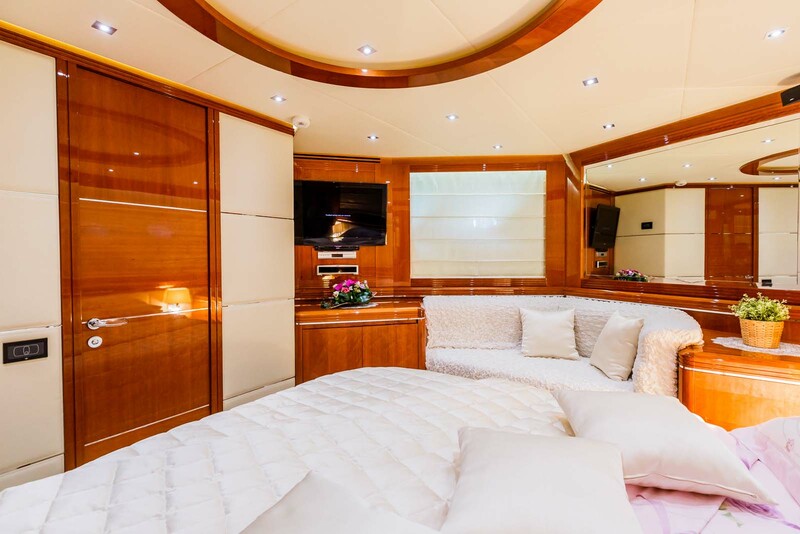 The foredeck has a large seating area, with pop up Bimini cover, raised sunpads and a hot tub. 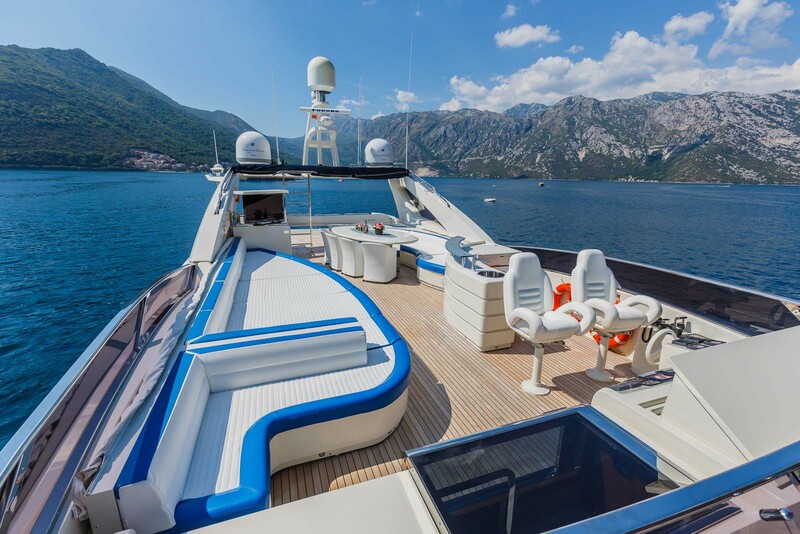 On the upper deck, the yacht features a massive sunpad, wet bar, retractable TV, BBQ station, alfresco dining and optional shade. 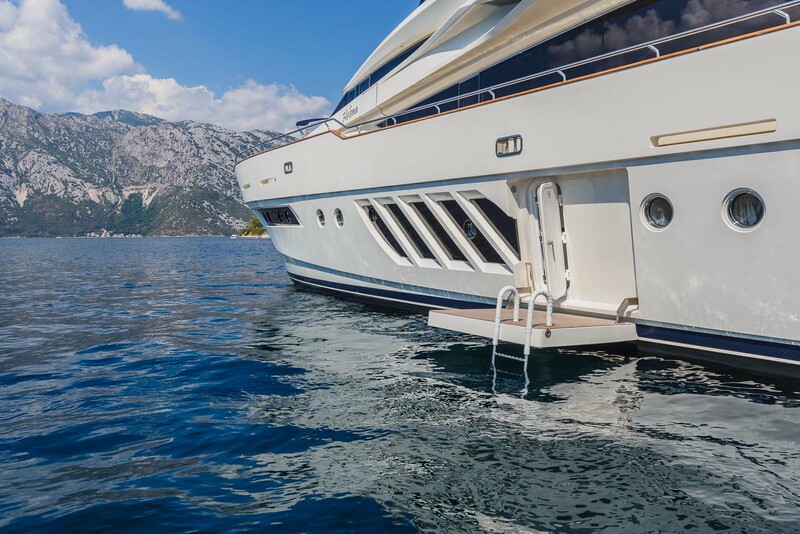 Water activities are made effortless thanks to the extended swim platform on the stern. 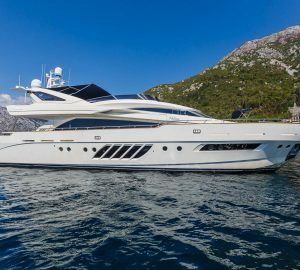 The Dominator 29m LADY MURA is powered by 2 x MTU 16V2000 M93, 2434hp engines, she is capable of cruising at 16 knots and has top speeds of 25 knots. 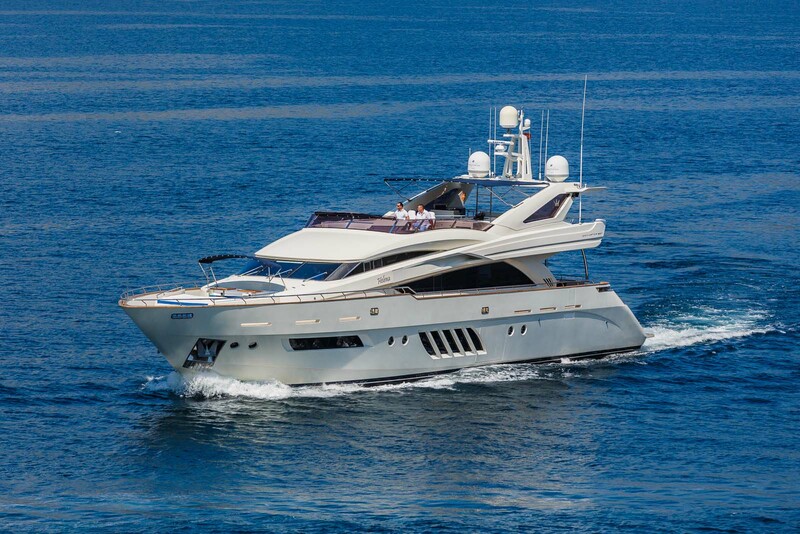 Comfort and performance are enhanced by fitted at and anchor, and underway stabilizers. 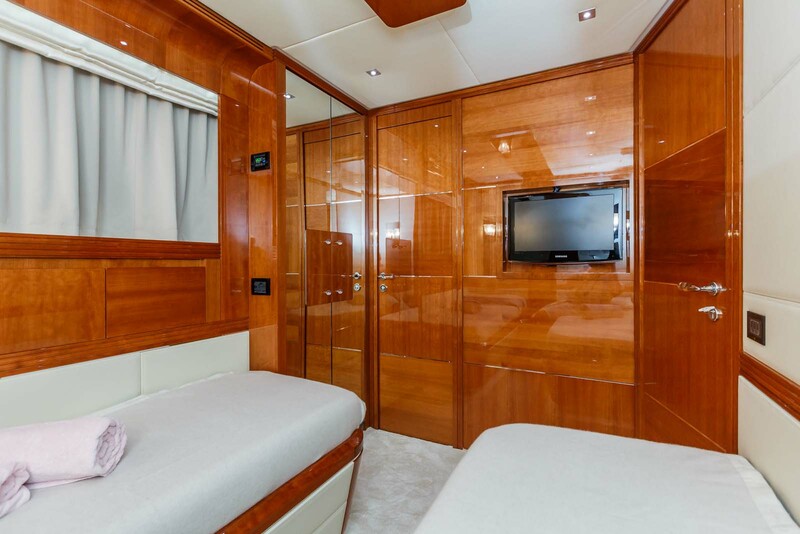 Accommodation aboard the yacht is in 5 en-suite, fully air conditioned cabins. 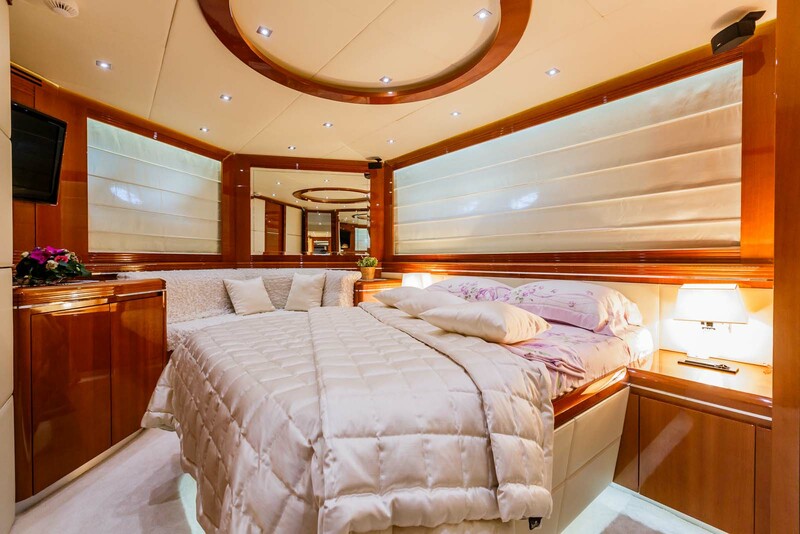 On the main deck and amidships is a guest double cabin, with a queen size bed. 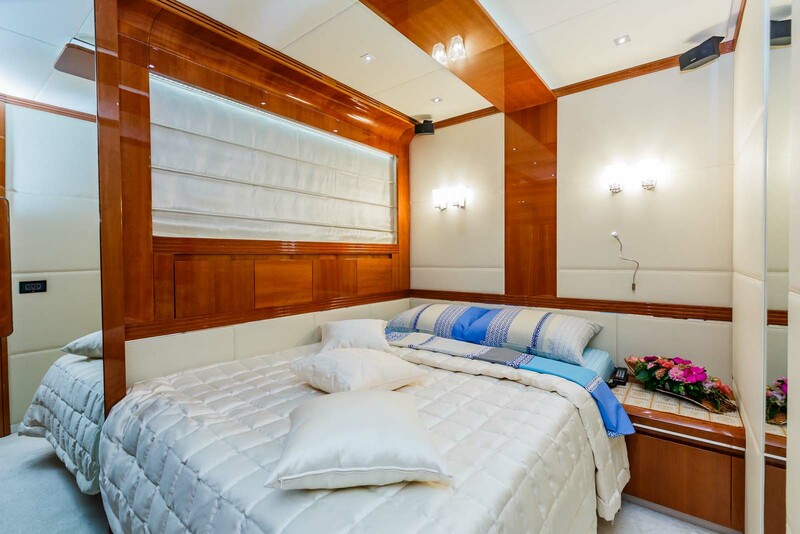 The lower deck offers a full beam master stateroom amidships, with a king size bed and intimate seating area. 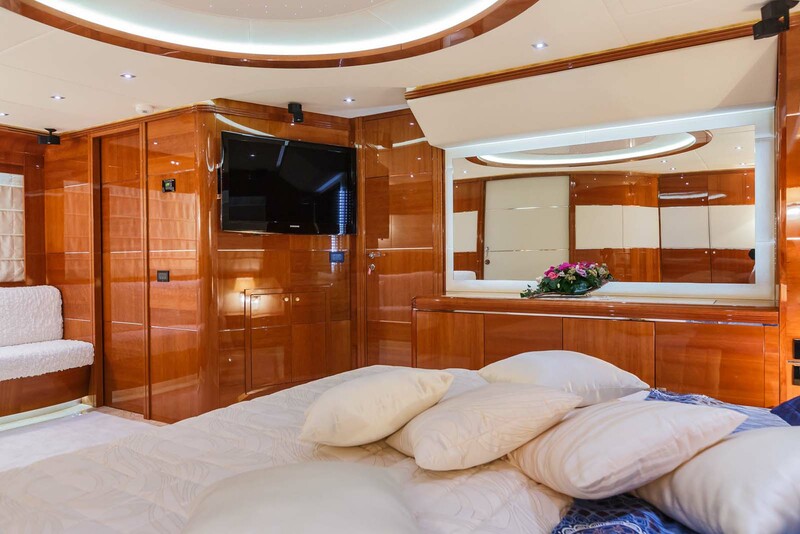 Forward and full beam is the VIP cabin, with a double bed and seating space. 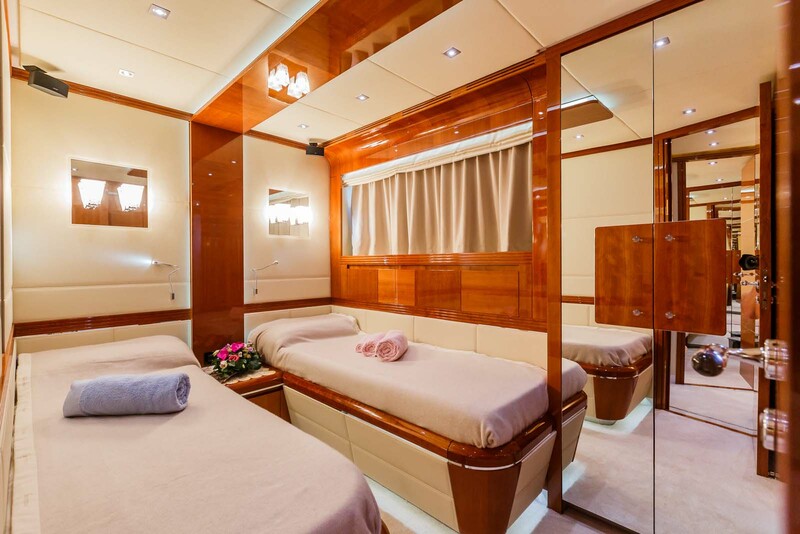 Two twin cabins offer side by side single beds, which easily convert into double beds when requested.